Today’s Boston daily double features a rarity: The Boston Globe front-pages what should have been the Boston Herald’s Page One. That’s fine – gotta do the Pats when it’s Monday Night Football and Coakley’s jumping on the junkets is good (and it beat the Globe). But the Health-Connector-Is-Worse-Than-Obamacare story is thrice-told news at this point. It doesn’t really merit another front page hit. 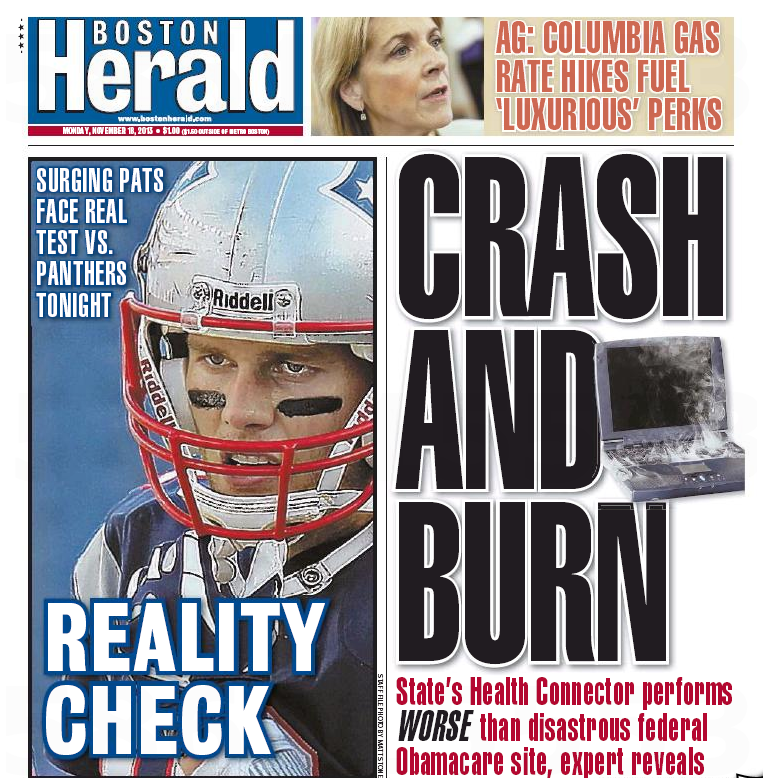 Crosstown, the Globe’s Page One has the story the Herald should have had. The pending use of GPS tracking devices, slated to be installed in Boston police cruisers, has many officers worried that commanders will monitor their every move while supervisors insist the system will improve their response to emergencies. 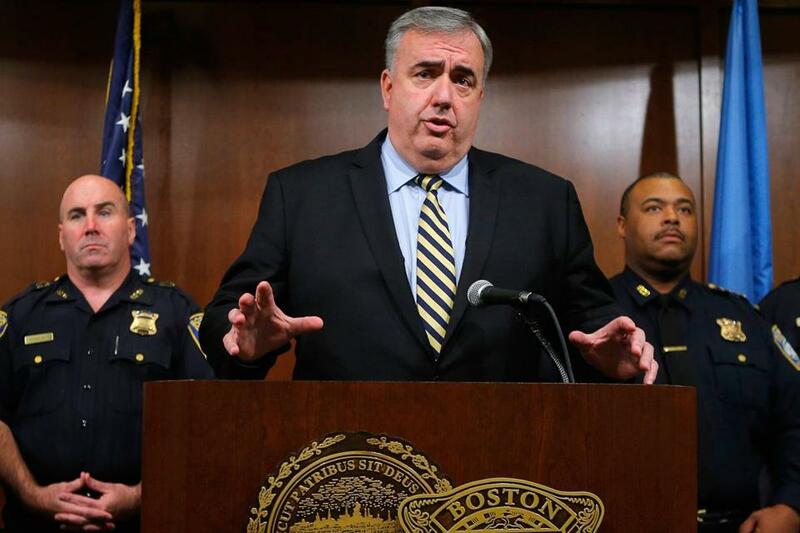 The change, a result of contract negotiations between the city and the patrol officers union, puts Boston in league with small-town departments across the state and big-city agencies across the country that have installed global positioning systems in cruisers. Boston police administrators say the system gives dispatchers the ability to see where officers are, rather than wait for a radio response. Using GPS, they say, accelerates their response to a call for a shooting or an armed robbery. Just think how that translates to the Herald’s front page, all donuts and dozing off. Can’t you see it? This entry was posted on Monday, November 18th, 2013 at 2:16 pm and is filed under Uncategorized. You can follow any responses to this entry through the RSS 2.0 feed. You can leave a response, or trackback from your own site.